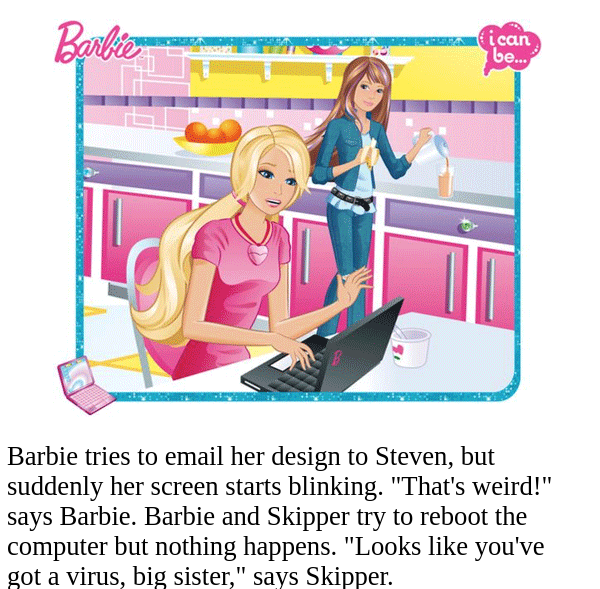 Barbie tries to email her design to Steven, but suddenly her screen starts blinking. "That's weird!" says Barbie. Barbie and Skipper try to reboot the computer but nothing happens. "Looks like you've got a virus, big sister," says Skipper.